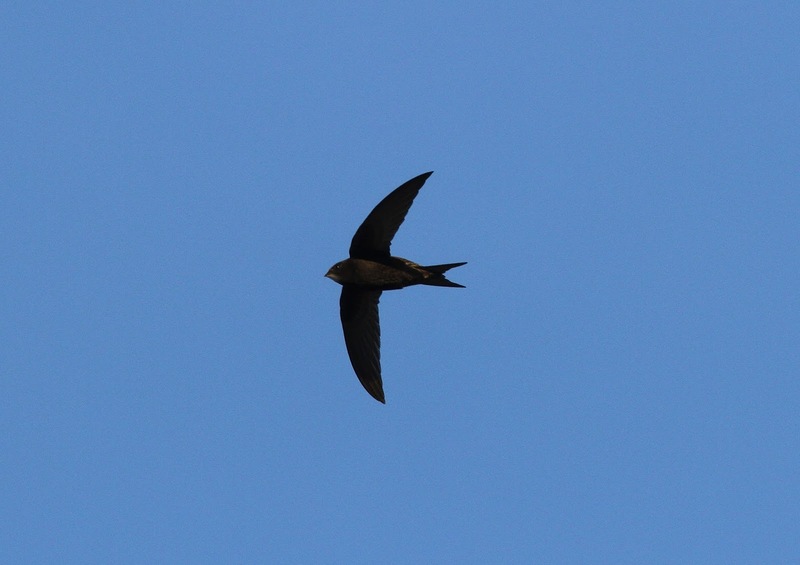 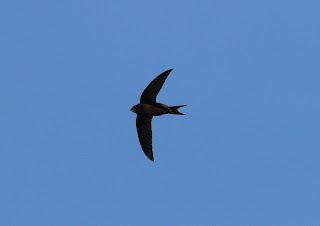 Our much loved Swifts are about to embark on their incredible migration to Africa. 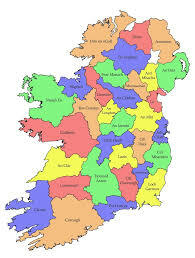 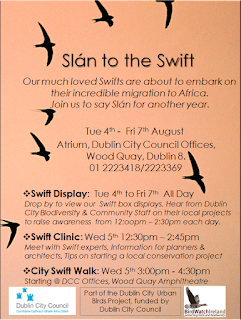 Join Dublin City Council (DCC) and BirdWatch Ireland to say slán for another year! 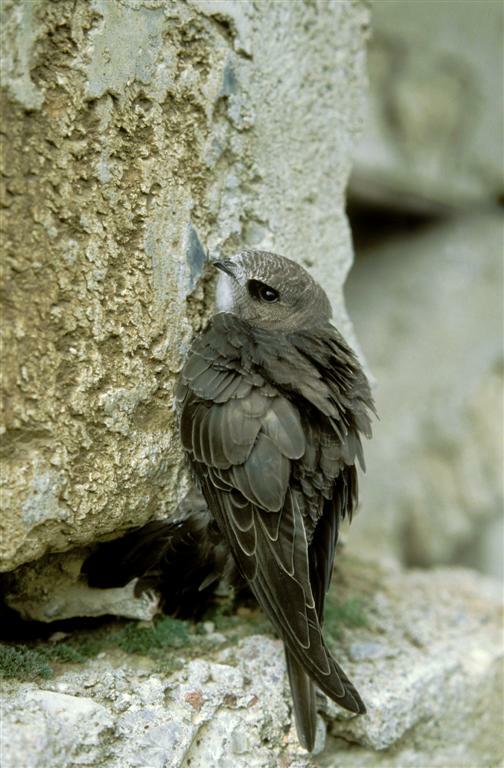 As part of the Dublin City Urban Birds Project, this event will take place from the 4th - 7th of August at DCC Offices, Wood Quay Dublin 8. 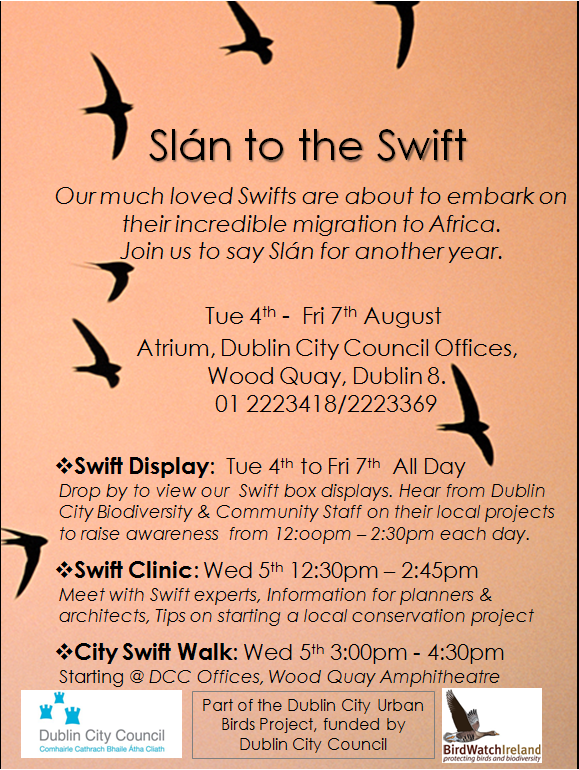 Drop by to view our Swift box displays, meet with Swift experts from BirdWatch Ireland, learn about our Swift conservation work and join us for a city Swift walk.